The recount process that has followed Turkey's March 31 local elections is continuing in a transparent manner, with representatives from all parties observing the counting, ruling Justice and Development Party (AK Party) spokesman Ömer Çelik said late Sunday. ''The sole purpose of politics is the representation of the people's will. That's why we are struggling to make sure there are no irregularities regarding the results,'' he said in a televised press conference. 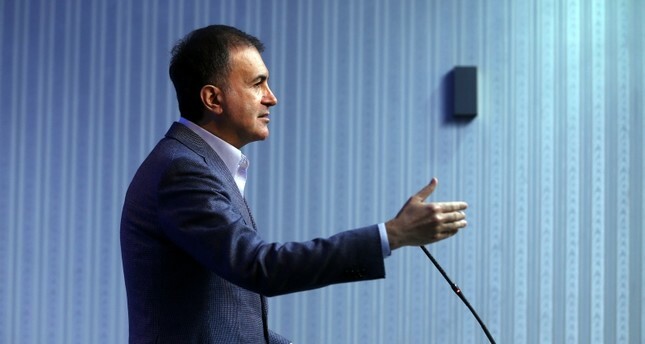 ''The opposition's attitude toward the Supreme Election Council (YSK) cannot be accepted. Their attempts to threaten, control and intimidate the YSK are attacks against the rule of law,'' Çelik said. "The recount process, which continues under constant supervision of all parties' officials, has prevented thousands of valid votes from going for nothing,'' he added. Çelik contested the remarks of European Commission Vice President Frans Timmermans, who on Saturday criticized the AK Party's objections to the preliminary election results as a lack of respect for the polling process. Çelik underlined that the appeal process in elections is "a democratic right in Turkey as in Europe." ''In many countries of the world, when the margin is that low, the laws allow for a recount. That's what we are doing too,'' the spokesman said. ''Whether or not we emerge victorious from the recount process, we will respect the outcome," he added. Ali Ihsan Yavuz, deputy chairman of AK Party, said earlier Sunday that they have applied to the YSK for a full recount of votes cast in 38 districts of Istanbul in the March 31 local elections. He also added that the AK Party had already appealed for a full recount in the Istanbul district of Beyoğlu, one of 39 voting districts in Turkey's largest city.